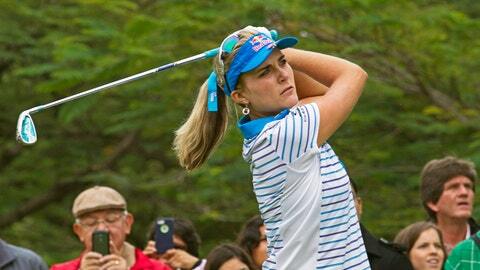 Lexi Thompson's idea of rewarding herself is probably a little cooler than yours. Holy moly. That ride is freakin’ SICK. "I had to keep the deal I made with myself if I played well in my last few events and this is what I rewarded myself with! :) #lotsofhardwork #stingray #loveit#timetoworkharder"
What’s the difference between me and a pro golfer? When I do something good, I typically reward myself with a six-pack and a pizza. Not a Corvette Stingray. I need to go to the driving range, apparently.